We are so proud of Kirsty for being nominated for a Positive Role Model Awards (Gender) at the 2019 Diversity Awards. The National Diversity Awards celebrate the excellent achievements of grass- root communities that tackle the issues in today’s society, giving them recognition for their dedication and hard work. Charities, role models and community heroes are honoured at a ceremony showcasing their outstanding devotion to enhancing equality, diversity and inclusion; thus embracing the excellence of all our citizens irrespective of race, faith, religion, gender, gender identity, sexual orientation, age, disability and culture. The National Diversity Awards honour people who inspire other individuals through their work, through their commitment to helping others, through their infectious personalities and through adversity. The nominees and award winners are an integral part of helping people in today’s society to believe they can achieve their goals and ambitions, no matter what background you come from. 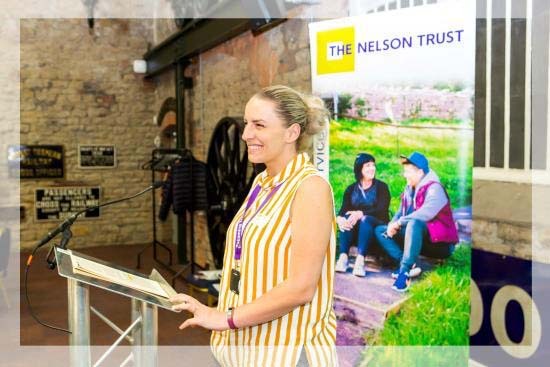 Kirsty is the Learning and Development Lead at The Nelson Trust and we think she is a deserving winner and hope all our friends, supporters and colleagues will vote for her!